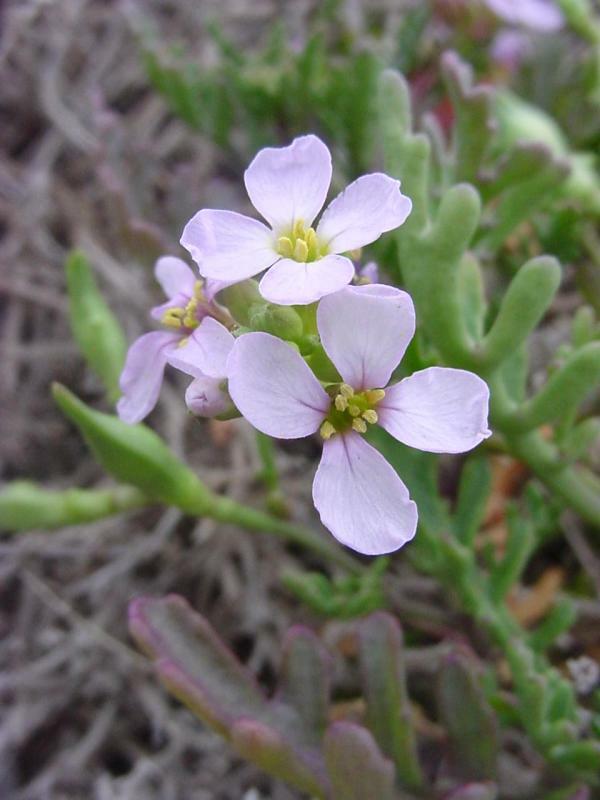 Sea rocket is a glabrous, succulent, branching annual with ± prostrate and spreading stems. It has the typical 4-sepal, 4-petal, 6-stamen characteristics of its family. The leaves are pinnately-divided into round-tipped and oblong lobes. 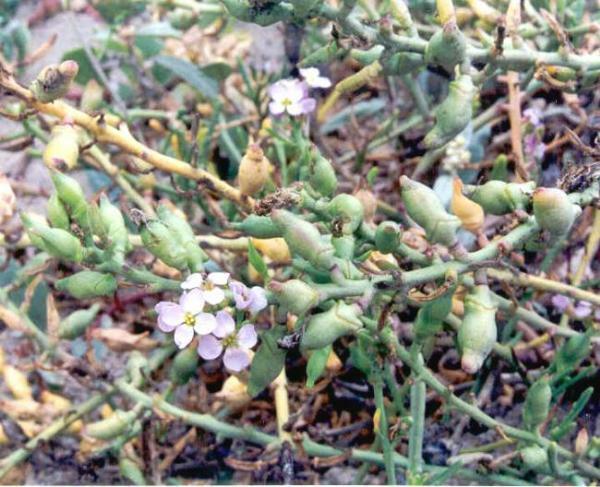 The petals are pale-violet to white and the fruit is a swollen, transversely two-jointed pod which is designed in such a way as to produce both a seed which can be washed away to a new location and a seed that will remain near the parent to develop into a new sea rocket. 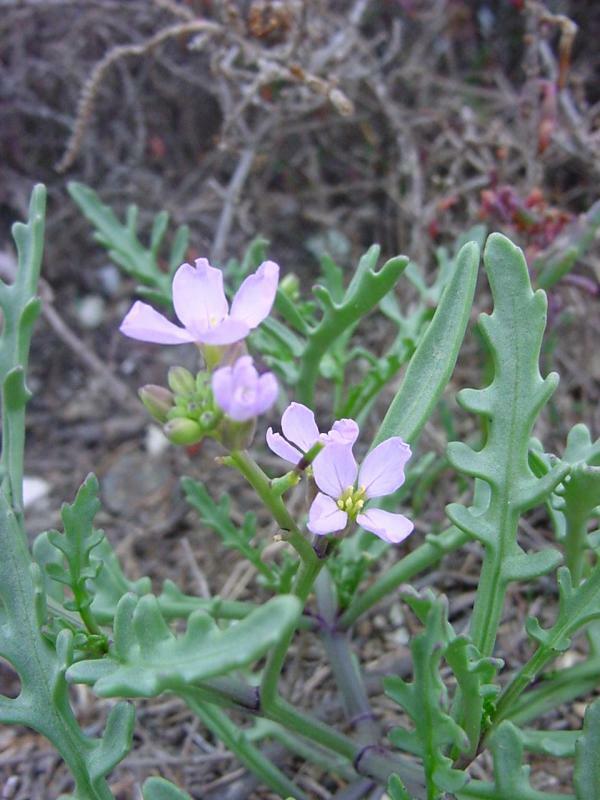 It is common and widespread on sand dunes and beach areas, and blooms from June to November. It is naturalized from Europe. These pictures were taken at Bolsa Chica. Click here for Latin name derivations: 1) Cakile 2) maritima.